High school is a time when many people make mistakes, and, fortunately, in many cases, they don’t follow them for their entire lives. Parties provide an environment that is ripe for bad decisions as well as predatory activity that is far from innocent. A combination of regrettable choices and the influence of alcohol and drugs can lead to highly damaging moments that are hard to shake, and that problem is only made worse by the current prevalence of technology that makes embarrassing and even harmful interactions all too easy to capture and spread. High school sophomore Mandy (Rhianne Barreto) is horrified when she receives a number of text messages referencing a video which finds her passed out with her pants down and surrounded by a group of boys. 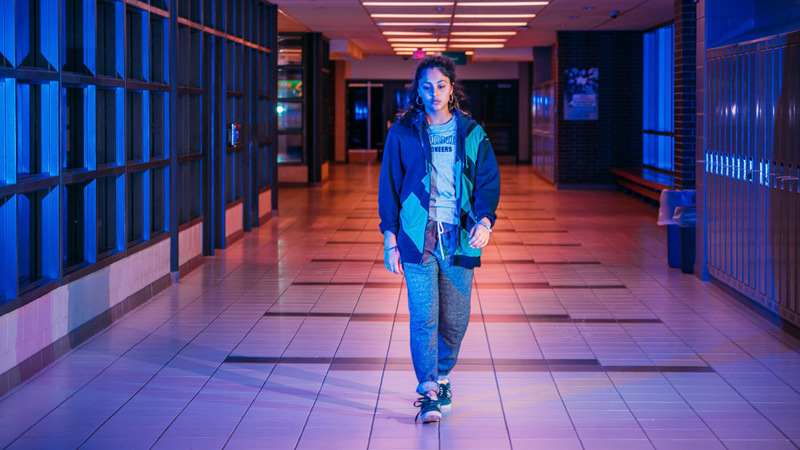 As she becomes the subject of conversation all around the school, her parents (J.C. MacKenzie and Poorna Jagannathan) learn of the video’s existence and suggest that she bring it to the police. Mandy is suspended from the basketball team because of her drinking, and other classmates are charged, though Mandy is still troubled by the fact that she doesn’t know exactly what happened and who was involved. This is a film that features its protagonist in practically every scene, forcing the audience to experience events and receive updates along with her. Mandy’s phone chimes repeatedly as incendiary and threatening text messages flood in, and they only become relevant if she chooses to acknowledge them aloud. Her attempts to hang out with friends as if everything is normal are met with awkwardness and even hostility, while those who do approach her with open arms give her pause. This is a harrowing experience made to feel all too real by the tight focus on Mandy and thanks to the strength of Barreto’s breakout performance. The film rests on its zoomed-on portrayal of Mandy’s life moment-to-moment, and as a result never offers a more complete picture of the situation. 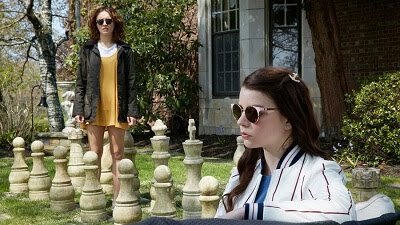 While that seems to be done deliberately to trap the audience in its protagonist’s shoes, the result is a slow-moving saga that feels appropriately inescapable. 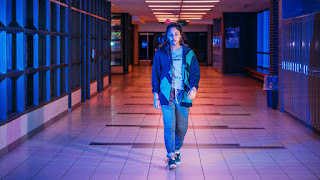 Some have compared this film to “Eighth Grade,” which was also picked up by A24 out of Sundance, and while it manages to capture the idea of being a teenager in a way many films can’t, it doesn’t nearly the same appeal or structural cohesiveness, still fully worthwhile as a commentary on what social media has done to human instinct and behavior.